Is fancy, expensive dog food actually better than the cheap stuff? While a cheap kibble mix of approximately three bins containing cornmeal, soybean meal and slaughterhouse byproducts will fill a dog's belly, it won't provide the same nutrition as food crafted from a wide range of fruits, vegetables, grains, proteins, and seed oils. Steve's Real Food offers raw diets, both frozen and freeze dried. The food is in the form of nuggets and comes in chicken, turkey or beef blends. BARF, or Biologically Appropriate Raw Food, is a blend of human grade raw meats and wholesome vegetable ingredients. In the kibble and canned food arena, the best food for dogs is made with whole, recognizable ingredients. Avoid foods that include mysterious by-products, and be suspicious of chemical additives. Specific meats or meat meal should be the main ingredient, followed by clearly listed vegetables and fruits. Grains should fall lower than meat and vegetables on the list. 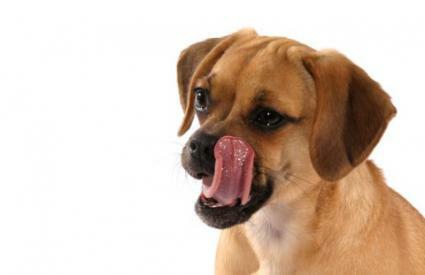 Additional substances are often added to dog food to support taste, color, a pleasant mouth feel, a tidy excretion (yes, food manufactures take that into account), and a long shelf life. Reputable dog food company will provide an explanation for each supplement, preservative or chemical filler- if not on the package then on the company's website. Natural Balance relies on brown rice, oatmeal and barley for a carbohydrate base and adds healthy proteins like chicken, lamb and salmon. Newman's Own Organics is a great canned food that is made with fresh meat, real broth and it doesn't have a lot of fillers. Canidae also meets the criteria of being a great food for your pet since it is made with healthy fresh meats, a real broth base, and minimal fillers. Wysong carries a large selection of healthy products for people and animals. Their dog food is available in single meats and blended diets formulated for age and lifestyle. Feeding your pet high-quality food can improve his quality of life. Finding a brand that includes real meat (or meat meal), as its base and minimal fillers will tremendously improve your pet's health. No matter which brand you choose, remember to monitor your dog carefully for health changes, especially after introducing a new diet. Also, you should supplement excellent nutrition with plenty of exercise and fresh water.